Dental lasers and laser technology are used today in numerous dental indications (tooth repair, aesthetics, prosthetics, orthodontics, surgery, and others). The laser effect provides primarily painless intervention, but also less invasive bloodless surgery, as well as minimum postoperative complications. With lasers, caries diagnosis is more effective and the removal of healthy dental tissue in interventions is minimized. Dental lasers are quite effective in treating all types of infections. The laser beam itself is bactericidal and the seals that are posterior after the laser are longer. In surgical interventions where a dental laser is used, the healing time is shorter, without scarring and bleeding, and it is often unnecessary to sewing. 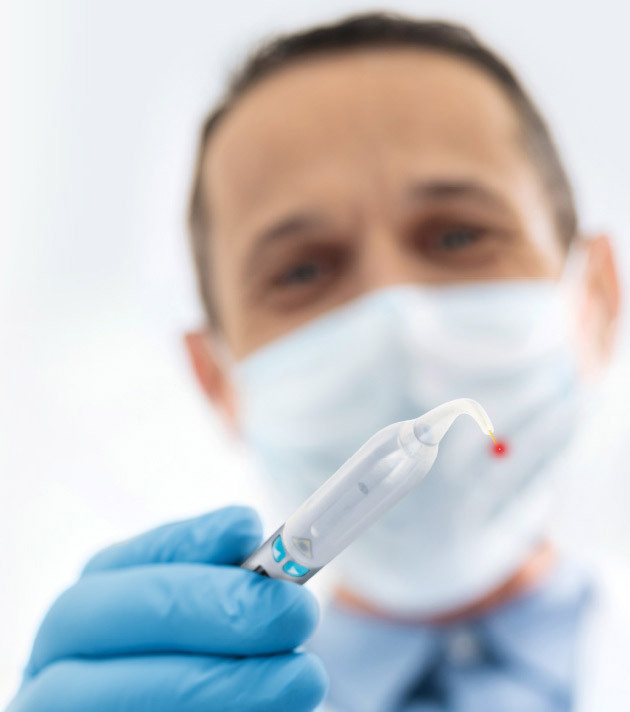 In aesthetic dentistry, a laser is used in the procedure of teeth whitening. In laser beam bleaching, the intervention time is significantly reduced. The treatment is carried out in only one session, and the sensitivity of the tooth is substantially shortened or completely absent. The effects of bleaching are incomparably better than other methods. Laser method is completely safe and safe for the structure of the teeth and patient’s health. For laser use, the spectrum indication is wide, and the number of contraindications is reduced to a minimum. Treatment of periimplantitis, disinfection of paradontal pockets, teeth whitening, curettage of pocket pants, preparation of sulcus for imprinting, gingivectomy, prolongation of the clinical crown, apnea dening, frenectomy, implant opening, biopsy, exposure of unimproved teeth, pain therapy, speeding up wound healing, avoidance of vomiting, paraesthesia, TMJ pain, disinfection of the root of the tooth root, retrograde disinfection, disinfection of paradontal pockets, curing of paradontal pockets, teeth whitening … are all indications for a dental laser. Beo Smile Design uses the most up-to-date tools in the field of dentistry and oral surgery.